This isn't your mothers faery tale. Oonzil Windlestraw, a pixie with a serious temper problem, befriends a wizard and his eagle familiar. The trio are forced into fantastic dramatic action when a human faery hunter nabs a fae girl with the intent of grinding her into pixie dust for profit. Plenty of pixie-fighting, eagle-riding action and excitment follow in this 30 page novelette. From the beginning to the end, M R Mathias draws the reader into a world of wizards, faeries and pixies--seemingly without effort. Oathbreaker is a charming story suitable for the whole family. A sweet, quick read. This is a nonfiction book originally written by my father, Carlos A. Caggiani, in Spanish as "Huellas y Horizontes". Working together with him, I recently translated it into English and added photographs, a map, a foreword, and a list of all cities visited. This is the true story of my father's two-year journey around the world on a motorcycle in the 1960's. It reads like a novel, full of action and drama, intermixed with real journal entries from his voyage. From 1964 to 1966, Carlos Caggiani traveled to 26 countries on a 1947 Indian Chief motorcycle with hardly a penny to his name. At 24 years of age, he embarked on the adventure of a lifetime. He spent time with everyone from poor natives in the Andes mountains, to rich families in the United States. He crossed rivers without bridges, suffered famine, intense heat and cold, guided his motorcycle through rain and snow storms, rode on dirt and cobblestone roads, was chased by the FBI, was shot at in Bolivia during a revolutionary war, and had a serious accident due to a mechanical failure in Panama that left him hospitalized for 17 days. The experiences in this book demonstrate a human being's tenacity and triumph in the face of adversity, and shows that anything is possible. There is always something more just beyond the horizon...and as the horizon expands, our limits disappear. The winner will be chosen at random by the end of October. THE RIGHT PATH: Abraham "Ham" Jones, a cripple, and Zia Slate, a tomboy with an attitude, find themselves unlikely partners in this post-apocalyptic tale of survival. It is decades later since the world blew itself apart. Life is harsh, gangs rule the streets, the system cops keep the peace anyway they can. Being a kid in this world isn't easy, being a cripple is about the worst sentence handed down. Being a girl with no protection is only slightly better. "The last time I've seen an extraordinary example of the spectra of the human machine, from the darkest shade of cruelty to the lightest shade of kindness and charity, was when I saw the film 'Blindness' a few years ago. THE RIGHT PATH is a poetic start to an epic journey of reviving humanity. 5 Stars across the board. If novelettes could be nominated for Oscars, this would be in the category." Deb and Dave began their writing career together in the Fall of 2006 when they were both looking for something new to read. Their habit of sharing books back and forth had led them both to like and read pretty much the same kinds of genre. Their favorites were fantasy and science fiction. 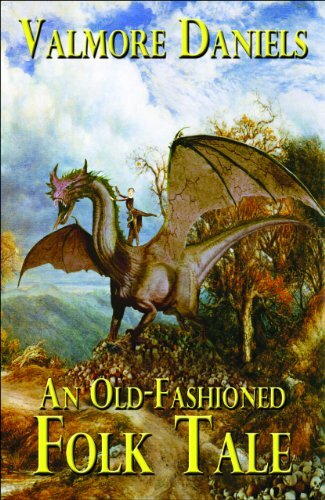 While on the phone, Dave in CA and Deb in MA were lamenting the fact that there was nothing new to read -- fantasy novels at the time were all about dragons and elves. They wanted something different and the sentence was spoken....."We could write better than some of this stuff." Of course, the next sentence was, "Well, why don't we?" and that's how it all began. Those first drafts were certainly nothing to write home about. With authors in two different locations, there was lots of repetition which was good in a weird way. At least, they were on the same page about their writing. After many cross-country visits and too many edits to count, their first novel was born, Quest for Nobility, Book 1 of the RULE OF OTHARIA trilogy. With the book finally finished, their own quest to find an agent started. Although they got many "excellent" rejections, no offer of representation happened. Fast forward just shy of 4 years later, they have decided to take control of their books and become Indie authors. Books 1 and 2 of the RULE OF OTHARIA series is now available for sale and a series of novellas in the DARK FUTURE series are also available for sale. Deb and Dave are currently working on a new fantasy novel and hope to have it finished by 2011. Hello everyone! I've decided to take today for myself. I haven't made any blog posts besides book listings or contest announcements since August 2nd. She asked a few questions that really made me think. Dave Griffin thinks he has it made--beautiful girlfriend, computer programming job, and all the benefits that come with middle class life in America. Then Dave's employer callously decides to replace American computer programmers with a combination of offshore and imported labor in order to increase company profits. Now Dave is out on the street and can't find even a minimum wage job. But Dave still believes in the system. All he has to do is bring the problem to the attention of the media and the people in Washington to get results. But his agitating only deepens his trouble. Meanwhile, Dave's friend Joe Tremaine, a former FBI agent who lost his job after suffering a devastating head injury, is struggling to pay for his medicine and help his daughter. Cynical Joe knows better than to trust anyone in Washington or in corporate America. He embroils Dave in his fraudulent money-making schemes, and when Joe decides to educate the powerful senator who has been the driving factor in eliminating American jobs, his plan goes terribly wrong. Dave is the only one who can help, but helping will force him to choose who and what he cares for. Can an unemployed computer jockey manage to keep Joe-and himself--out of jail? Or will the oddly-shaped bundle in the back of Joe's truck spell big trouble for both of them? Imogen Rose, author of Portal and Equilibrium, is running a contest. Please message me with your Fan Club link or details to enter. Six words that propelled ice hockey playing tomboy, Arizona, into an alternate dimension. She suddenly found herself in the past. In one moment she went from being an ice hockey playing teenager in New Jersey to a glamorous cheerleader in California. She found herself transported from a happy life with her dad, Dillard, to a new, strange one living with her mother whom she hates. Apparently it's a life she's always lived in. As she struggles to find answers she is certain of one thing- that her mother Olivia, a brilliant physicist, is somehow responsible. .
PORTAL is the story of the repercussions of Olivia Darley's attempt at creating a perfect world for herself and her children. Arizona's quest for answers threatens to undermine the seemingly perfect world that her mother has so carefully constructed. 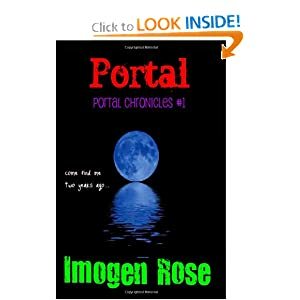 PORTAL is the first book of the Portal Chronicles. Fans of time travel, romance, and the supernatural will enjoy Arizona's quest for answers. Brand new signed copy from the author. The giveaway is for the old cover, not the one shown here. But it is still the same great book. In all Chaos, there is a cosmos, in all disorder, a secret order. Now, imagine if the Horsemen were already among us, and imagine if the Fourth had a name. This is the story of an immortal soul. It is the story of a lot that had been cast, a story of heartbreak, pain, and acceptance, and ultimately, it is a story of redemption through love. From war ravaged 9BC Germania to modern day London, it is the story of three people whose lives will be forever changed by faith and fate . . . This is her story. her name is Selena, and she is the sword in the Shadows. Meet Alexis Stanton, a 5' 4" petite young woman with a yen for adventure. She grew up as a tomboy wishing she could have all the adventures boys could have. She has since decided that being a boy instead of a girl has its advantages, but being a woman is much better. Raised in a family with money, she was able to pick and choose her education. She has been schooled in everything from being a lady to courses with Special Forces instructors. Her desire for adventure and her boredom with her current employment and a strange 'Help Wanted' ad causes her to quit. She finds that job she could 'just die for'... and it looks like she just might! M.R. Mathias, author of The Sword and the Dragon, is giving away a fantasy Novella at Smashwords. "The First Dragoneer" is the first installment of the Dragoneer Saga. click here to get your free copy of The First Dragoneer and enter the coupon code ZQ99Y until October 31st. "The Royal Dragoneers" releases in mid Oct. and this free Novella is my only real promotion for it! Also FREE: "The Blood of Coldfrost" (A Wardstone Short) click here to get your free copy of "The Blood of Coldfrost" No coupon needed for this one! The Kindness of Strangers by J.A. Titus is currently on sale at Amazon for only 99¢. In all Chaos, there is a cosmos, in all disorder, a secret order. Now, imagine if the Horsemen were already among us, and imagine if the Fourth had a name. This is the story of an immortal soul. It is the story of a lot that had been cast, a story of heartbreak, pain, and acceptance, and ultimately, it is a story of redemption through love. From war ravaged 9BC Germania to modern day London, it is the story of three people, whose lives will be forever changed by faith and fate . . . This is her story; her name is Selena, and she is the sword in the Shadows. Cheryl Anne Gardner is a writer of dark, often disturbing literary novellas. She is an advocate for independent film, music, and books, and when at all possible prefers to read and review out-of-the-mainstream indie published works, foreign translations, and a bit of philosophy. Her love of literature began at an early age with Bram Stoker's Dracula. Captivated by the Gothic and Dark Romantic stylings of Poe, Lovecraft, Kafka, and de Sade, her passion for the macabre manifests itself throughout her own work to this day. She lives with her husband and ferrets on the east coast USA, is an enthusiastic gardener, and her weekly blog column titled "Thoughts on The Craft" can be found at The Pod People Indie Book Review and Commentary site: PodPeep.Blogspot where she is a contributing editor, reviewer, and columnist. Valmore Daniels uses a fantasy setting to explore various themes such as courage, loyalty, betrayal, overcoming disabilities, and how to deal with growing up, while at the same time delivering a well-written, highly entertaining journey back to our the imaginary worlds of our childhood. Written primarily for the young adult audience, An Old-Fashioned Folk Tale can be enjoyed by fantasy-lovers of all ages. A darkness has settled across the Five Sundered Lands - an evil Sorceress has found one of the ancient artifacts, a Shard of Nelvin, and is using that power to enslave every mythical creature in the Lands. It is up to Leif, a young human boy dying of cancer, to overcome his illness and become the hero who will find the remaining lost shards. With a band of unlikely friends, Leif must overcome impossible obstacles, solve unsolvable puzzles, and travel through treacherous new worlds in his quest to defeat the Sorceress and reunite the Lands. An Old-Fashioned Folk Tale is on sale for $.99 until next Wednesday, September 22nd, 2010. Blurring the boundaries between reality and fantasy, can faith and science unite to save two desolate hearts. Can love triumph over deceit, and can a man and a woman put history aside and rediscover just how deep their bond lies. Antiquity follows French Archaeologists Joliette Deneauve and Olivier Botton as they grapple with the mystic implications of a discovery hidden deep within the Siberian mountains. As Joliette pursues her obsession, she becomes bewitched by the spirit of a long dead God-King, and torn with despair, her grip on reality is tested. 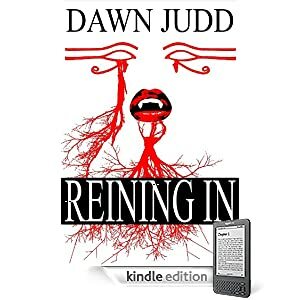 As Joliette attempts to decipher the incantations of a strange burial rite, painful memories from her own past begin to overcome her, and her faith in Botton is tested. Will she learn to trust him again, trust in her own heart, or will they slip farther away from one another, into the abyss and beyond? Amy Shojai offers book giveaways every month to subscribers to her PET PEEVES E-newsletter. Click here to subscribe and get entered to win! Amazon author page. You can find other titles by this author here. "A wealth of information for first-time kitten owners. Amy Shojai shows you how to enjoy kittenhood." "When you purchase a kitten, there should be four requirements by law: food, water dish, litter box, and this book." "Finally there's an informative, fun-filled guide to help us raise the best cats possible…filled with practical solutions, delightful stories, and the latest in kitten-care research." "Covers kitten selection and care issues from A to Z…[a] thorough guide to getting your new baby off on the right paw." Amy Shojai, CABC is a certified animal behavior consultant and author of 23 pet care books on Aging Dogs, Aging Cats, Cutting-Edge Pet Medicine, Pet Behavior, First Aid, Pit Bulls and more. She hosts her own radio program Pet Peeves, and is an expert on Animal Planet's DOGS 101 and CATS 101. Amy shares her home with a German shepherd and Siamese wannabe who keep her in line! Living Better, Loving Longer...With Complete Care! Reviewer Appreciation Winner and other giveaways!